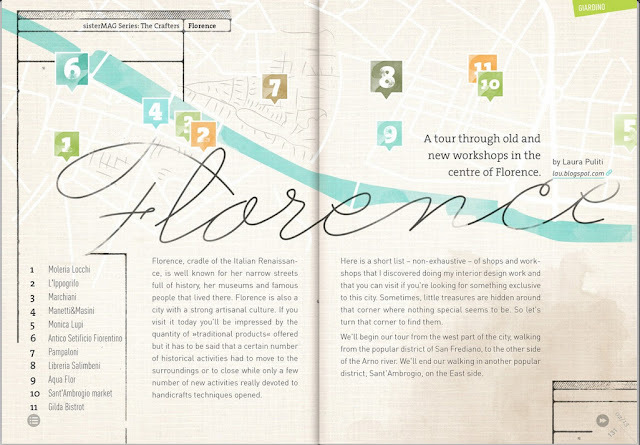 spanning nearly 600 square meters, is located on the ground floor of Palazzo Ginori, in the centre of Florence. The building is a milestone in the Richard Ginori legacy, which dates back to 1802, when the Manifattura Ginori - the firm founded by Marchese Ginori in 1735* - opened for the first time its shop in the Tuscan capital. In the nineteenth century** the building was remodeled in sixteenth century style and even today conserves part of the original structure with its ribbed vaults, courtyard and leaded glass windows framed with tiles on the inside. The store reveals a series of rooms - from the kitchen to the lover's alcove from the drawing room to the glasshouse - recreating the warm and welcoming atmosphere of an elegant home. * In 1896 Carlo Benedetto Ginori merged his firm with Richard, creating the famous company. The wonderful museum that documents the history of the porcelain factory is located in the town of Sesto Fiorentino. ** Carlo Lorenzini – better known as Collodi – the author of Pinocchio grew up in this palazzo, as the child of the cook and maid to the Marchese Ginori - as a commemorative plaque on the façade reminds. *** Being born in Florence, I grew up surrounded by beautiful Richard Ginori ceramics but only when getting old I could appreciate how lucky I was. My grandparents were living near the old Ginori factory and they were used to buy the discarted pieces (they couldn't afford the good ones). I've always been a "compulsive accumulator" (oh yeah!) so I still guard all those precious pieces. UP: Walls are decorated with Ji Ondori roosters, one of the brand's iconic motifs.